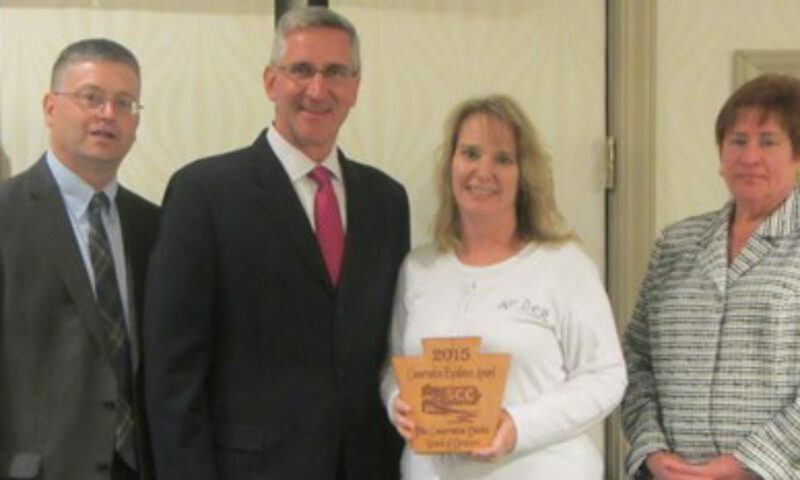 The State Conservation Commission (SCC) recognized Pike County Conservation District Board with a Conservation Excellence Award in July 2015. The award acknowledged the District’s completion of an extensive strategic planning exercise in 2015 to identify priority challenges and concerns for the District’s on-going work. The SCC commended the District for seeking out new ways to better serve their county and achieve their mission to protect and conserve the county’s natural resources. They also praised the District Board for their active and involved group of Directors, Associate Directors and staff. The award was presented at a ceremony held July 8, 2015 at the PA Association of Conservation District state-wide meeting held in Monroeville, PA.